Our free SQL Instance Info Finder enables the user to easily retrieve information about SQL Server instances. 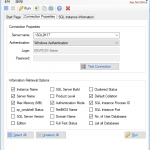 By just selecting the information to be retrieved, the program connects to the SQL Server instance with minimum privileges and retrieves the requested information. You just select the info you want to be retrieved and you directly get a report. 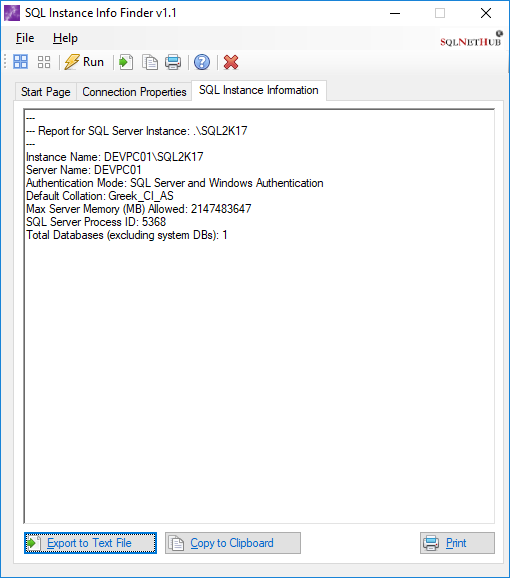 SQL Instance Info Finder provides a rich set of information retrieval options in order to enable you retrieve comprehensive information about your SQL Server instances. Why we Built SQL Instance Info Finder and How Can it Help You? 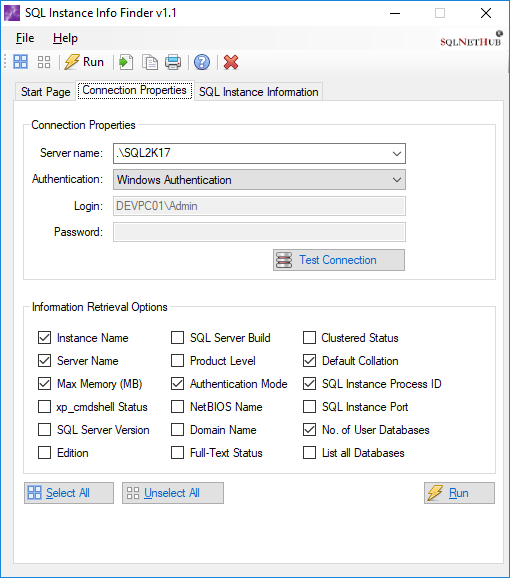 There are times where you want to quickly retrieve information about a SQL Server instance without having to connect with SQL Server Management Studio (SSMS) and retrieve this information with T-SQL queries. 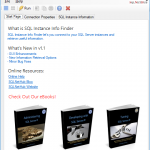 We created SQL Instance Info Finder for this exact purpose. You can retrieve useful information such as SQL Server version, build, edition, service pack and much more, and you can export this information to a text file or directly print it. 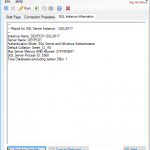 SQL Instance Info Finder is a free tool, offered with respect to the worldwide SQL Server community. 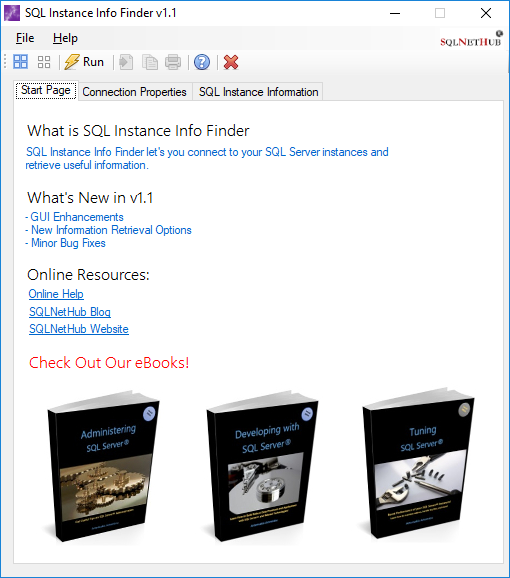 * SQL Instance Info Finder, up to version 1.0 was released under the brand name “SQLArtBits”. 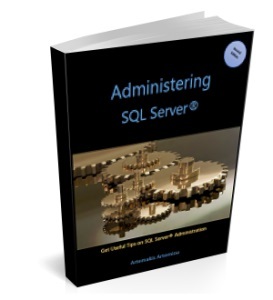 Learn how to effectively administer your SQL Server databases. Learn about maintenance, security, integration, error handling and more.